Sakai Community DocumentationSakai 19 User Guide (English) RubricsHow do I add a rubric to an assignment? 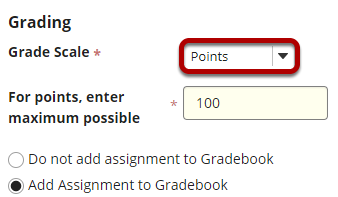 Under Grading, select Points as the Grade Scale. 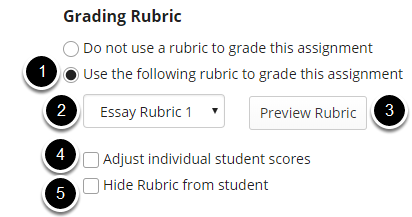 Once you have selected Points, the Grading Rubric section will appear just below. Select Post when you have finished setting up the assignment. Your assignment now has a rubric attached. Assignments with rubrics attached will display a rubric icon next to the title of the assignment. Prev: How do I stop sharing a rubric? Next: How do I add a rubric to a forum topic?